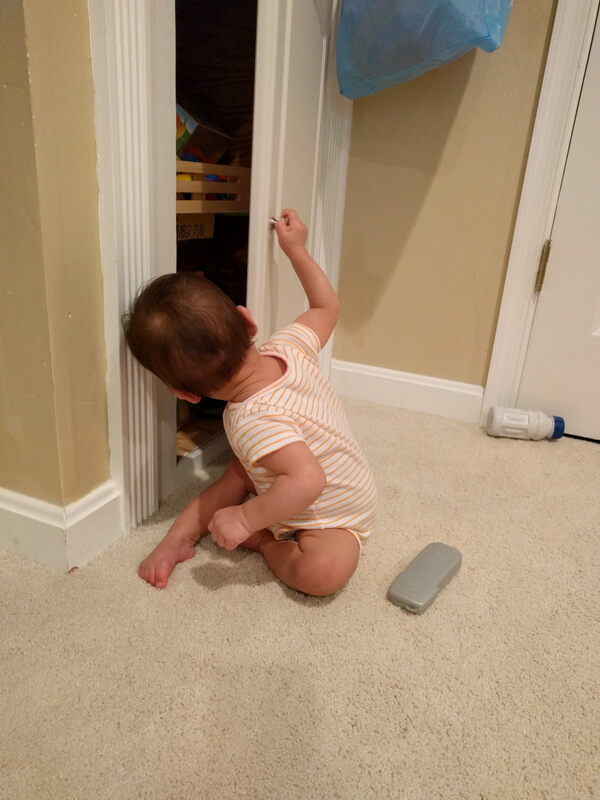 Once kids learn how to open doors, drawers, etc – it’s all they do. Overall, it’s not too bad – they’re learning how the world works, gaining physical skills, etc. But unless you’ve child-proofed the crap out of every single thing that can be opened, it becomes very easy for the kids to make a mess. Since they are (as of late September/early October) currently obsessed with opening their drawers, we practically never play with them in their rooms.